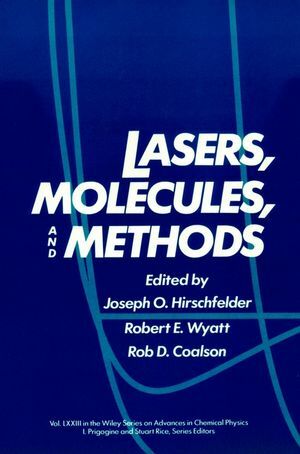 Based on a symposium on lasers, molecules, and methods held at the Los Alamos Center for Nonlinear Studies held in July 1986. Contributors present recent advances in theoretical and experimental research on a diversity of dynamical and optical phenomena resulting from the interactions of laser beams with molecules. They describe the predictive results of sophisticated mathematical models, the equipment involved in experiments, and reveal new insights into molecular structure and behavior. Joseph O Hirschfelder was an American physicist who participated in the Manhattan Project and in the creation of the nuclear bomb. Robert E Wyatt is a professor of chemistry at University of Texas at Austin, Department Chemistry and Biochemistry. Where Are Laser-Molecule Interactions Headed? Numerical Treatment of Linear and Nonlinear Periodic Systems withApplications (P. Friedmann). Stationary-Phase Monte Carlo Methods (J. Doll & D.Freeman). Analytic Solutions and Dynamic Symmetries in Laser-Driven AtomicExcitations (F. Hioe). Reduced Equations of Motion for Molecular Lineshapes andSemiclassical Dynamics in Liouville Space (S. Mukamel & Y.Yan). Local Mode Overtones and Mode Selectivity (J. Hutchinson). Generalized Floquet Theoretical Approaches to Intense-FieldMultiphoton and Nonlinear Optical Processes (S. Chu). Squeezed States of Light (H. Kimble). Adiabatic Switching: A Tool for Semiclassical Quantization and aNew Probe of Classically Chaotic Phase Phase Space (W. Reinhardt).